Blessed Thomas Mary Fusco was beatified in 2001 as a model of holiness for priests. He was dedicated to his priestly ministry, preaching spiritual retreats and missions, teaching catechism to youth and organizing prayer evenings for young people and adults at the parish. He had a deep devotion to the crucified Christ throughout his life and worked to build the devotion to the Most Precious Blood of Jesus among the faithful. He was born Dec. 1, 1831, in Pagani, Italy, the seventh of eight children. Orphaned by the age of 10, his uncle, a priest, took charge of his education. Since 1839, the year of the canonization of St. Alphonsus Liguori, Thomas Maria had dreamed of the priesthood. He entered the seminary in 1847 and was ordained in 1855. In 1862 he opened a school of moral theology in his home to train priests for the ministry of confession. That same year he founded the priestly Society of the Catholic Apostolate for missions among the faithful. In 1873, deeply moved by the plight of an orphaned street girl, Fr. 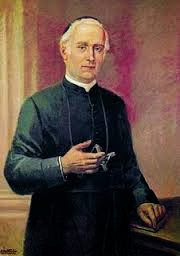 Thomas Maria founded the Congregation of the Daughters of Charity of the Most Precious Blood. Many orphanages sprung from his travels throughout Southern Italy. Fr. Thomas Maria died of liver disease Feb. 24, 1891 at the age of 59.